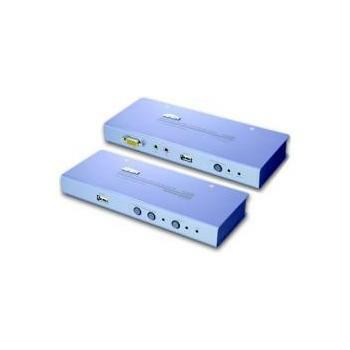 USB KVM Extender - The CE800 allows access to your KVM installation through a local console, or a remote console placed up to a distance of 250m(825ft) away. Both the local and remote unites support USB consoles(monitor, keyboard, and mouse), with the addition of a USB peripheral port on each unit. This port provides file swapping from mass storage devices and includes file sharing security features.